Echoing similar sentiments, Suvankar Sen, executive director of Senco Gold Ltd, said that price is the main factor this time. BHUBANESWAR/ BENGALURU: The ongoing chaos in domestic equities has prompted investors to consider the yellow metal as a safe asset. At the retail level, however, the yellow metal is not likely to see any “extraordinary demand” this festive season on the back of lower farm incomes and erratic monsoon. 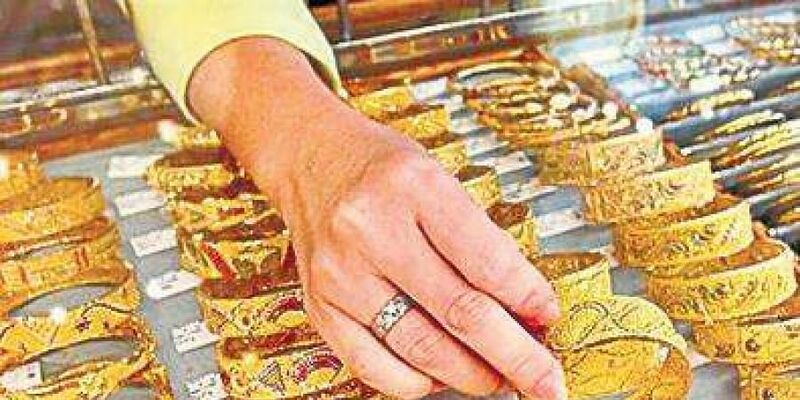 According to a report by World Gold Council, one per cent increase in per capita income results in a hike in demand for gold by one per cent. “Currently, what we are seeing is just a seasonal uptake in demand. After the deadly flooding across Kerala, the southern state with “by far the highest per capita spending on gold in India, we do not expect any extraordinary increase,” said Somasundaram PR, managing director-India, WGC. Echoing similar sentiments, Suvankar Sen, executive director of Senco Gold Ltd, said that price is the main factor this time. “People are not going for high-value jewellery amid higher gold prices. If prices don’t shoot up from the current level, we expect a 10 per cent year-on-year rise in demand,” Sen said. In contrast, Deepika S Tewari, associate vice-president (marketing), Jewellery Division at Titan Company Limited, said even though there have been some ups and downs in the prices of gold, it has not really impacted sales or consumer demand drastically. “We are expecting the sales and demand to be favourable and in line with our expectations from this festive season,” Tewari said. Currently, gold in India has largely been playing out between Rs 31,500 and Rs 32,000 in retail markets. In global markets, spot gold rate was little changed at $1,189.35 an ounce. If you are looking at diversifying portfolio because you don’t want all your eggs in one basket, financial advisers say that someone with stable and regular income should not put more than 2-5 per cent of their portfolios in the precious metal. According to Haeesh V, head of commodity research at Geojit Financial Services, investors tend to flock around gold to hedge against uncertainty, but historically, if you look at returns over the long run, equity has done better than gold. “In 10 years, equity has given 11 per cent return and gold six per cent,” Hareesh said, adding that it’s a question of time before gold gets its mojo back.